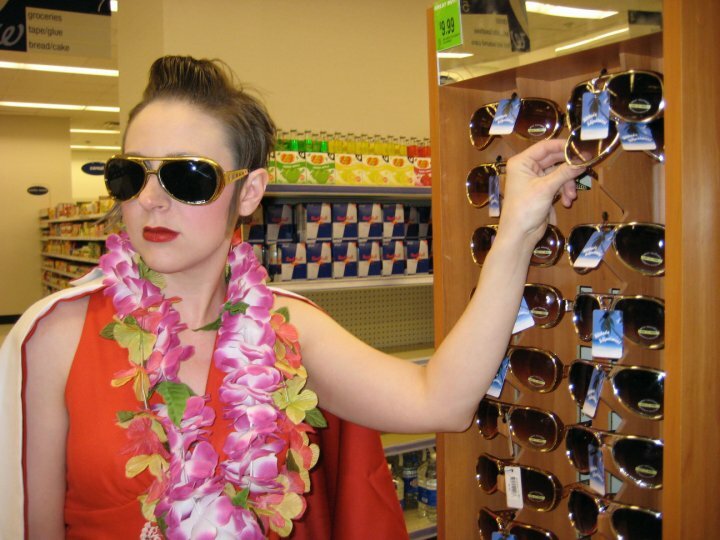 Though it’s doubtful that Elvis ever passed through Capitol Hill on his visits to the Seattle area, his memory still lives on in the minds of many local residents. This year the image of The King looms large as Elvis Birthday Week culminates in the 16th Annual Seattle Invitationals, the search for Seattle’s Best Amateur Elvis that takes place this Saturday. 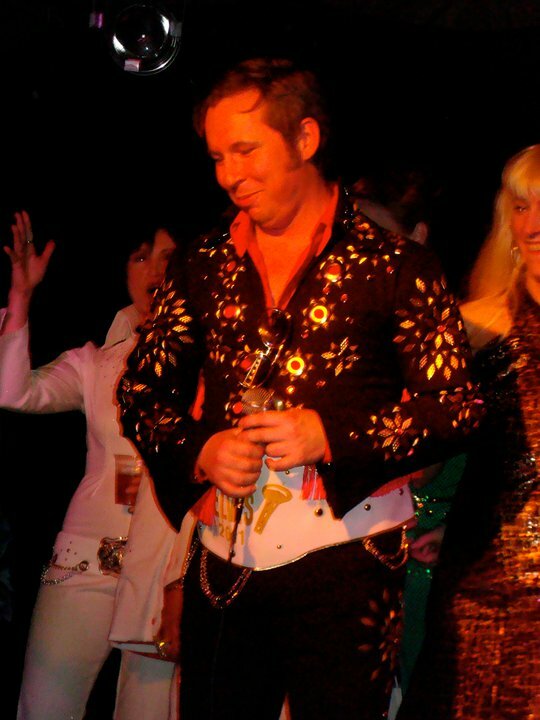 Ronnie Earl Porter, a long-time Capitol Hill resident and winner of the 2011 Seattle Invitationals, is back again to sing, swing and sway and try once again to take home the Winning Belt of Elvis Honor. 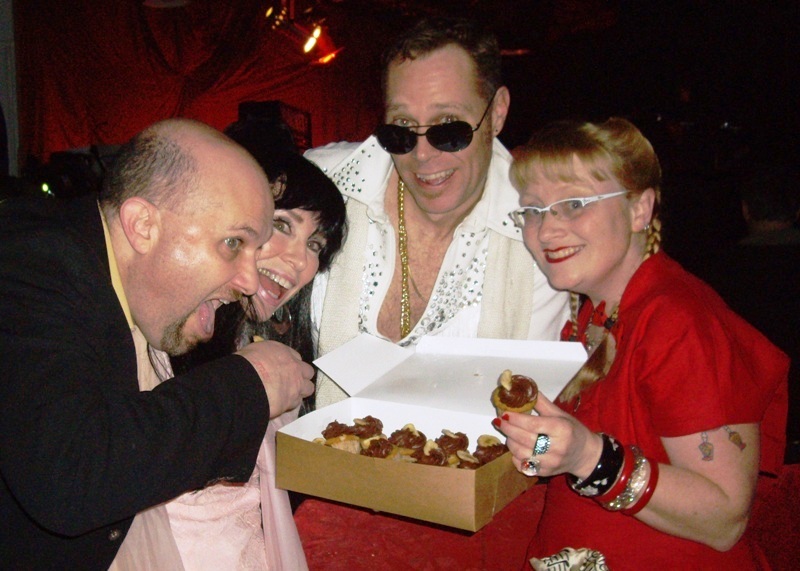 Another Capitol Hill resident, Margaret Darcher, has thrown her hat into the ring in her first attempt to win the moniker of Seattle’s best amateur Elvis. She’ll be singing “Can’t Help Falling in Love With You” and hopes to go home with the crown. If you want to see these two competitors, you can visit the website Seattle Invitationals for more information and tickets. 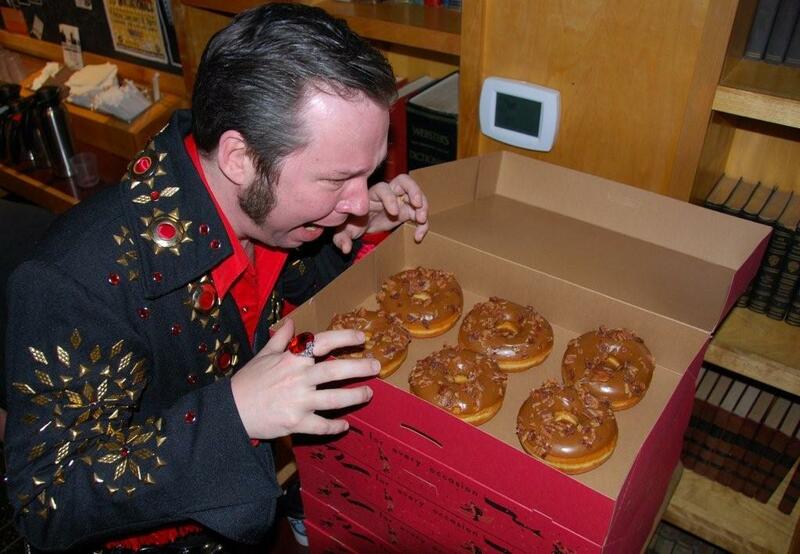 And now for the best part of the Capitol Hill/Elvis Connection, for ONE DAY ONLY, on Friday, January 11th, in honor of the Seattle Invitationals, TOP POT DOUGHNUTS located at 609 Summit E. have created and will be serving the King’s Rings, a maple-crème covered doughnut smothered in caramelized bacon! Tickets still available, just visit Seattle Invitationals. It’s $15 today or $20 tomorrow at the door. See you then! 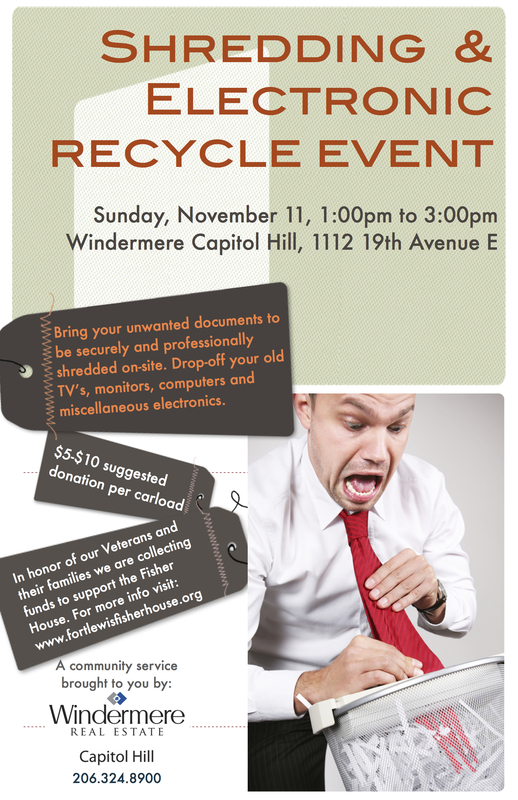 On Sunday, November 11th, the Capitol Hill Windermere office at 1112 19th Avenue East will be hosting a recycling and shredding event from 1-3pm. It’s free, but in honor of Veteran’s Day, they’ll be collecting donations for Fisher House, a inn that families can stay at for free while their loved ones are receiving care at Madigan Army Medical Center. Bring your old tax records and incriminating love letters to the office for shredding and drop off your old useless analog TV’s (those ones that “progress” made useless), computer monitors and electronics for recycling. Cake Spy, the awesome and lovable shop and gallery space at 415 E. Pine Street, is hosting a bake sale Saturday, with proceeds to go to the victims of the Cafe Racer tragedy. 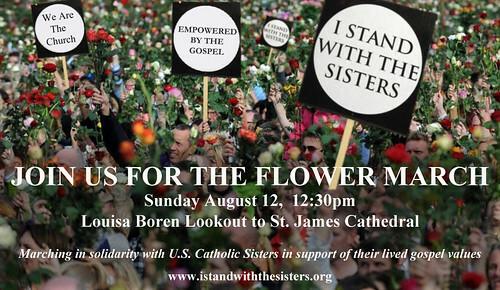 If you have items of baked deliciousness to drop off, you can do so between noon and 1pm on Saturday. 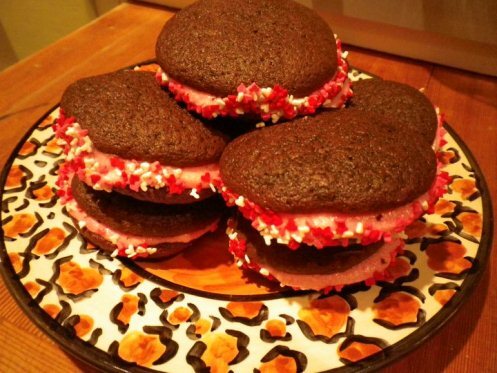 Haul out that cherry pie recipe from last week’s High 5 Pies competition or your Oddfellows Whoopie Pie bake-off! The Cake Spy bake sale shall commence at 1:30pm 7/14 until all items are sold. Please include a label with your name & the name of your delightful creation. The event is the mastermind of Capitol Hill resident Josh Black. Josh has been the instigator of a number of fundraisers for Cafe Racer, and is also having another fundraising event Thursday evening at Rebar, called 3-2-1 Battle. If you like wrestling, mayhem and chaos, stop by the Rebar 7/12 at 9pm. 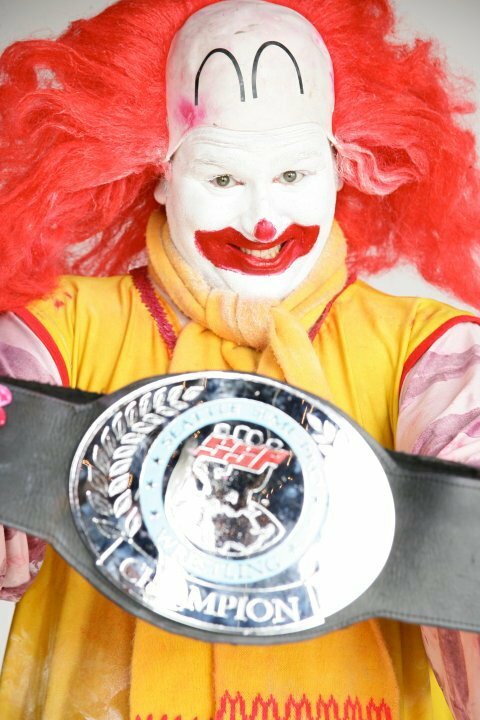 Josh, who lives near Broadway between E. John and Bellevue Ave. E., is an event promoter, wrestler, clown, performance artist and rapper. He became a fan of Circus Contraption in the early 90’s and toyed with the idea of clowning. He met two of the Circus Contraption performers, Drew Keriakedes and Joe Albanese, and was immediately a fan of their music and stage performance. 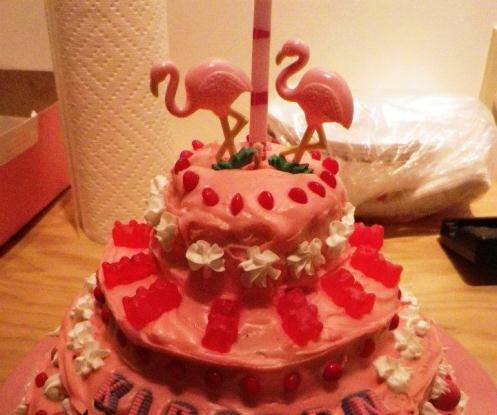 Like everyone in the community, he was devastated by their deaths and has rose to occasion by having a number of fundraisers at the Rebar, the Neptune and now at Cake Spy. The Cafe Racer tragedy affected many in the community, myself no exception. My husband and I live on Capitol Hill and we own the Official Bad Art Museum of Art (OBAMA) at Cafe Racer. We were stunned by what transpired, here and on First Hill, the revelations that the gunman, who was known by his friends and family to be mentally ill, was still able to buy guns legally. By attending the Town Hall meeting with Mayor McGinn last month, we learned that Washington State law does not restrict gun ownership for the mentally ill if they have not been in a mental hospital for at least 14 days. Washington has weak gun laws that help feed the illegal gun market, allow the sale of guns without background checks and allows the sale of military-style assault weapons. I consider what has happened lately in our beautiful neighborhoods, a call to arms for the unarmed. If you’d like to learn more about preventing and stopping further gun violence, a good organization that is already working locally is Washington CeaseFire. I urge you to visit the website to see what we can all do to try to curb and stop this stupid and senseless gun-fueled violence. To donate to the victims of Cafe Racer, to help the survivors and to help rebuild the beautiful home that was Cafe Racer, please visit Cafe Racer Love or donate at Chip In to Cafe Racer. Capitol Hill will be reverberating with the sound of 100’s of drums at the upcoming BDX Drum Competition taking place Saturday 5/19 at Garfield starting at 5pm. The local elementary schools of Stevens and Lowell both feed into Washington Middle School which in turn sends kids to Garfield. Both upper schools are fortunate to have music as a focal point to their curriculum. 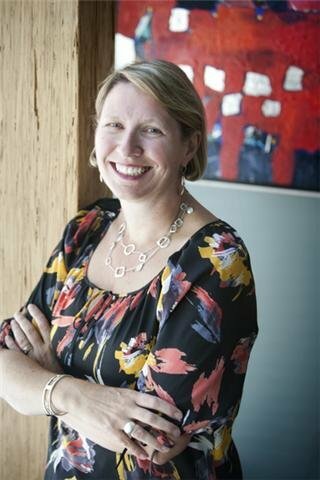 Washington Middle School, the official public middle school of Capitol Hill, has a great music department that has won numerous awards under director Robert Knatt and Ms. Kelly Barr-Clingan. The Garfield High School Orchestra, under the direction of Marcus Tsutakawa, is one of the preeminent training grounds for young musicians in the Northwest. But not everyone knows that both these schools also have excellent drumlines, and they’ll both be performing this Saturday May 19th in a BDX Drum Line competition, featuring drumlines from a number of schools from all around the state. 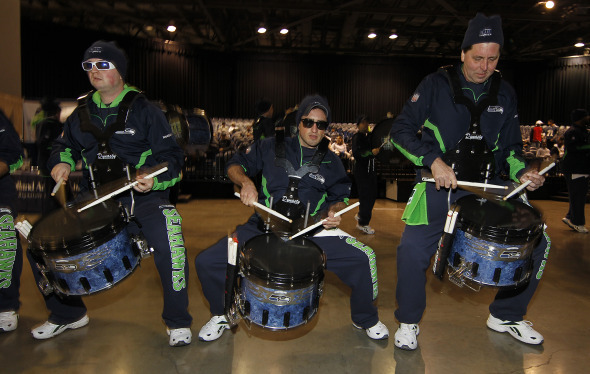 The event also features a crowd favorite The Seattle Seahawks Blue Thunder. Also performing will be a local group, the PNW drumline and a group from the Seattle Drum School. The Garfield drumline performed last month for the ceremony marking the 50th Anniversary of the Seattle World’s Fair and shared a stage with local dignitaries including Mayor Mike McGinn. The Garfield drumline also played for Mayor McGinn’s inauguration ceremony. 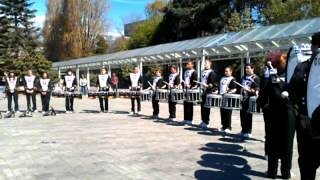 Here’s a video of the Garfield drumline performing in their dress uniforms. They’ll be more casually dressed at the BDX! People who could live anywhere in Seattle they want, choose Capitol Hill for its eclectic mix of interesting people, from computer programmers to artists to…. Elvis impersonators? Yes, indeed! 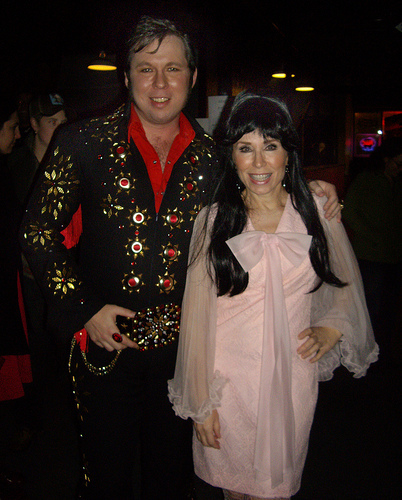 Capitol Hill boasts at least two Elvi, also known as ETA’s (Elvis Tribute Artists), and they’ll be shaking and swiveling and competing in this weeks Seattle Elvis Invitationals, a contest to find Seattle’s best Elvis impersonator. Competing for the very first time is Capitol Hill resident and Scenery and Set Designer Jeffrey Cook. Jeffrey does set design for Seattle Children’s theater and the Seattle opera, and he’s also designed the holiday décor at “Winterfest”, an annual month-long festival at the Seattle Center. 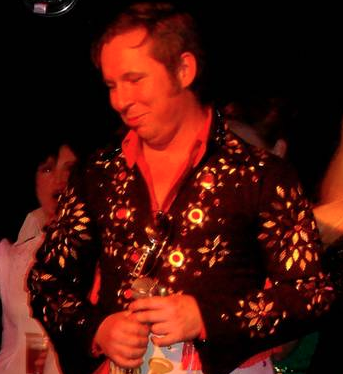 He also plays ukulele in the fabulous “Ukadelics“, a 9-piece ukulele band, and he’ll be playing ukulele and singing the Elvis favorite, “Viva Las Vegas”, at the Seattle Invitationals. Also returning to the Seattle Invitationals is last year’s winner and reigning KING of Seattle Elvi is none other that Capitol Hill resident Ronnie Porter. Ronnie’s competed a number of years and always put’s on a great show. He won last year and is returning in 2012 to defend his crown against 20+ other Elvi and ETA’s. Here’s a great video of Ronnie’s winning performance from last year. The Seattle Invitationals are Saturday, January 14th at EMP this year. Doors at 7:30pm and the show starts at 8pm. Jim Dever is Master of Ceremonies and judges include Nancy Guppy of Almost Live and Artzone, Mark Christopher of KVI radio, Vern Fonk and rock-a-billy socialite Sweet Pea. Also in attendance will be Priscilla, the Colonel and the (fake) Jordonaires. 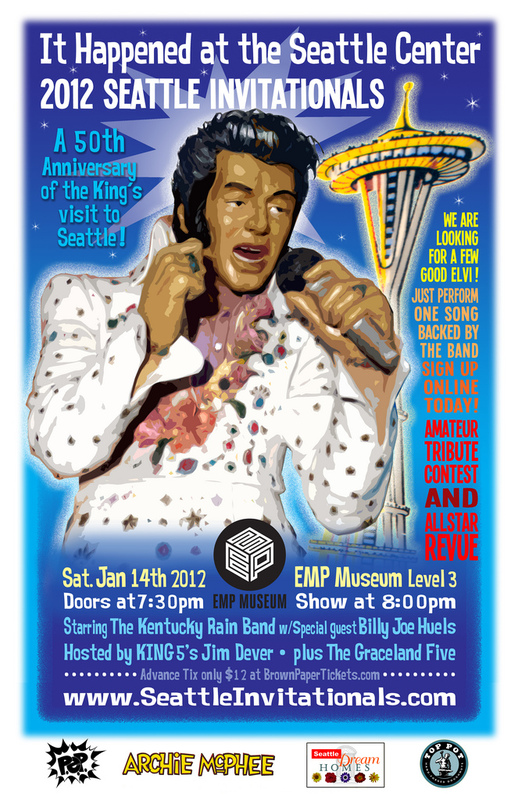 Live music by the Kentucky Rain and punk-rock Elvis music by the Graceland Five.